The revelation was met with disbelief by some, while others felt it does not inspire faith in the struggling utility. Eskom has taken to Twitter to respond to a user who asked if the struggling power utility also suffered from load shedding. “Do you also get load shedding at your office headquarters?” asked a Twitter user. 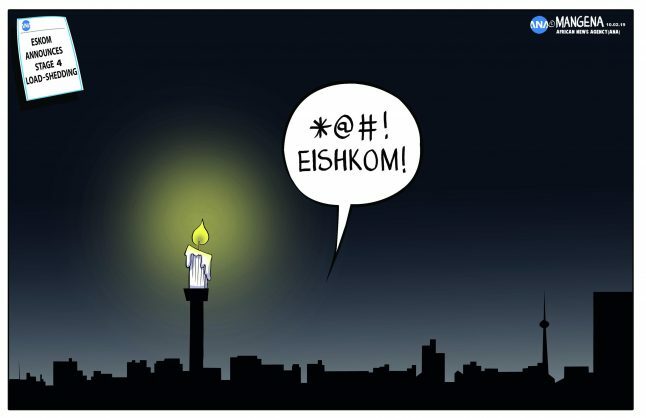 “Good morning, as a matter of fact, neither our head office nor any of our other offices are exempt from load shedding,” was the official Eskom account’s reply. This revelation was met with a mixed response, with some expressing doubts about the truth of Eskom’s reply. “This is silly though. Scary even. How do you fix things while you sit in darkness?” asked one user. One user linked to a 2014 Sandton Chronicle article about how the utility also made an effort to curtail its usage, noting that even Eskom has its own generators. “We do have back-up generators like most businesses to light our offices, including Megawatt Park,” Eskom’s media desk said at the time. Eskom issued a statement on Monday morning indicating that stage 2 load shedding until 9am would be escalated to stage 4 until 11pm. According to the utility, this is due to a “shortage of capacity”. Eskom also apologised for the inconvenience. In another tweet, the utility offers an infographic explaining stage 4 load shedding. According to Eskom, this stage is “no cause for alarm as the power system is still effectively being controlled”. MoneyWeb reported on Monday that it is now known that the dramatic and chaotic escalation of load shedding on Saturday – from stage 2 to stage 3 and then stage 4 within hours – was caused by the loss of imports of 1,100 megawatts (MW) of power from Mozambique. Tropical cyclone Idai damaged the transmission lines that carry power to South Africa from Cahora Bassa. It was also reported that the extension of load shedding from the weekend to the middle of the week is “unprecedented” and speaks to bigger problems, citing coal shortages and that Eskom reportedly uses more power than it produces.